Global life is increasingly obsessed with instant replay of all types. In the pre-digital days, the extent of instant replay for use in judging actions and words by people, was largely limited to newspaper editorial pages. If enough readers read an article and noted a mistake, AND took the time to write to the editor pointing out the error, the newspaper might print an apologetic retraction that few people would ever see. Humanity has evolved technologies that make these analog days seem quaintly blissful. Mistakes were more easily hidden and humanity was generally more ignorant of the dizzying magnitude of mistakes being made. I’ve recently become a bit more worried that technologies making our lives ever more scrutable and may be undermining what it means to be human. In other words, I think instant replay is destroying humanity. Ok, so while that may sound like an exaggeration, I don’t think it is an enormous exaggeration. My logic is as follows: 1) Mistakes are made by humans and are therefore part of humanity, 2) Humanity learns from mistakes, and therefore improves, even though individual humans are sometimes punished for making mistakes, 3) If humans stopped making mistakes, humanity may stop improving, and 4) Instant replay of all kinds may inhibit humans from taking action in order to avoid mistakes. It’s that last order of logic that may get a bit shaky, so consider this a theory a work-in-progress, but my overriding concern may nevertheless be true: every scintilla of every action by every member of our planet is being increasingly reviewed by others. I think this direction inexorably leads to a society in which those who review the actions of others have more power than those who take action. Worse, those doing the reviewing won’t be humans at all…but rather the cleverly automated systems vigilantly ever-scanning for human mistakes. 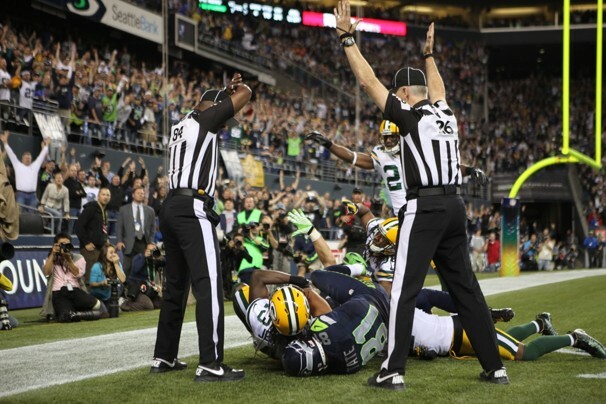 NFL games have come to epitomize this climate of over-reviewism. George Will once quipped that “Football combines two of the worst things in American life. It is violence punctuated by committee meetings.” More recently, a third leg has been added to that stool…violence and committee meetings punctuated by legal proceedings. Officials seem to gather ever more often to confer on the calls that they made on the field. They use technology to slow down and zoom in. I can hear a sports broadcaster saying this in a few short years: “Was his elbow down at the 2.2 yard line or the 2.1 yard line? If you look extremely closely and FREEZE IT! RIGHT THERE!… you’ll notice that this blade of grass, that looks like a cell phone tower, is clearly touching his elbow. Let me highlight it for you with this scanning electron microscope image overlay.” But that is only the most well-known version of the increasingly ubiquitous instant review of humanity. The same mentality is increasingly overtaking the lives of all of us. The presidential debates this week and over the coming weeks are and will be instantly reviewed and the candidates fact-checked. And this zealous fact checking doesn’t just occur with the debates, but with public pronouncements of any kind by any person. 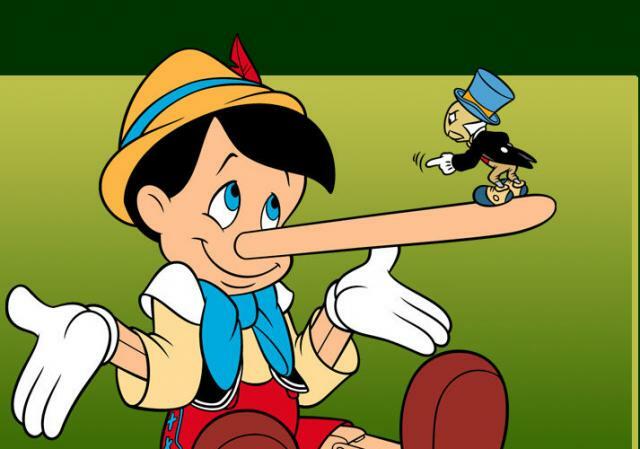 Calling out a presidential candidate for lying is obviously not a new phenomenon, but the proliferation of so-called fact-checkers has exploded and they provide their truths in a virtually instantaneous manner. The ability of the media and technology to provide us with these truth powers is, like instant review in pro sports, wonderful at getting the story straight. But they are having an unintended consequence. Digital video recorders and giant databases of information are not humans and yet they are beginning to have an inordinate level of control of human thought and action. Kevin Kelly, former editor of Wired Magazine once provided this spectacular look at “the next 5000 days of the internet”. 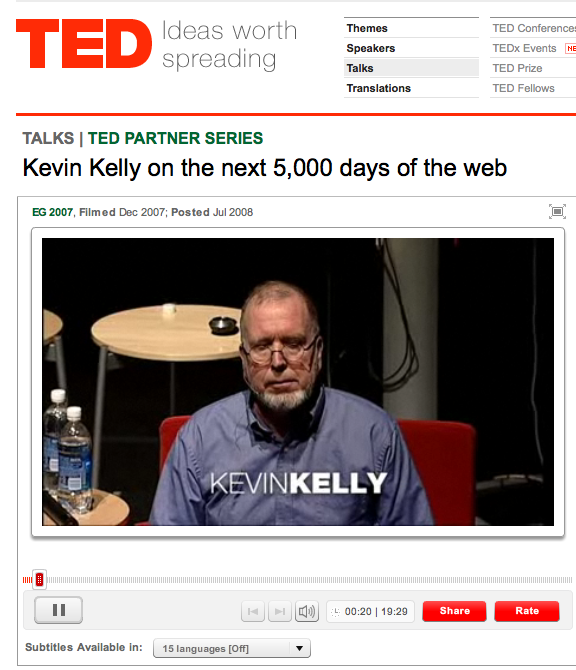 In that remarkable TED talk, roughly 1,735 days ago, Kelly pointed out that soon, very soon, “no bits will live outside the one.” What he means by that is that technology is increasingly making information and data so collectible, analyzable and reviewable that soon every action by every person all the time will be subject to instant replay. Your life and all its actions are devolving into a long, long series of 1’s and 0’s. And all of it, every bit of it, is increasingly available to everyone. Did you zip through the intersection 0.1 second after the light turned red? Were you at that restaurant in the same 5-minute period that a certain person of FBI interest was also there? Did you visit a potential terrorist-oriented web site while trying to understand the motives behind 9/11? Computers are watching everything you do. Computers are storing every thing you do. Every 1 and every 0. And this perfect collection of your bits is increasingly available for microscopic review. This will make it difficult to be the mistake-making human we’ve all known and loved for the past several hundred thousand years. Civilized society is protected by a very thin surface from becoming an uncivilized society. I’m not advocating that law enforcement shouldn’t have security cameras in high crime areas…I’m advocating that we limit the proliferation of security cameras TO high crime areas. I’m not suggesting that public officials shouldn’t be fact-checked…I’m suggesting that even YOU will be increasingly fact-checked. I’m not saying that humanity is about to succumb to technologically superior robo-analysis…I’m saying that another very-thin patina layer protecting humanity is in danger of being dissolved. No need to double-check that. This entry was posted in Commentary/Editorial, Technology and Society and tagged humanity, instant replay, Kevin Kelly, society, technology. Bookmark the permalink.